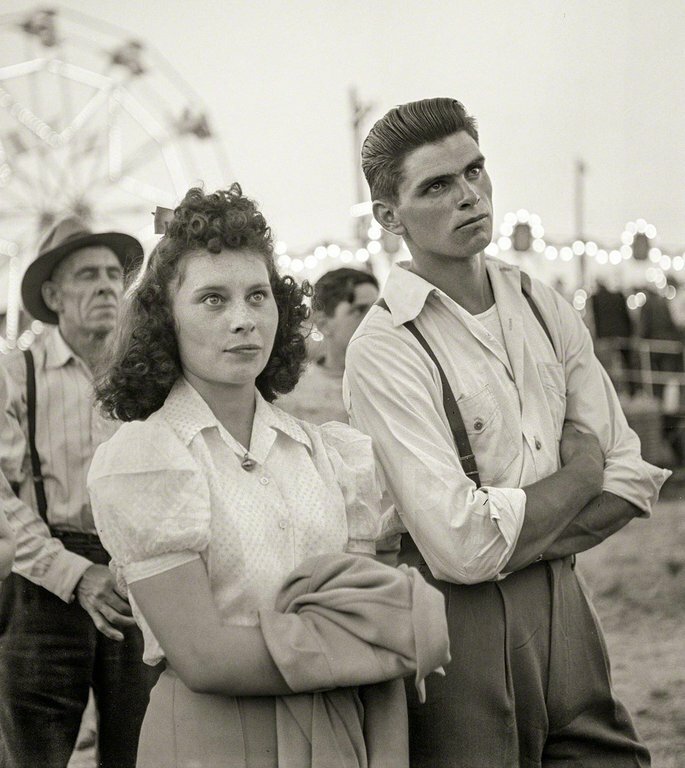 Couple at the sideshow, July 1942 Klamath Falls, Oregon. Photo by Russell Lee for the Office of War Information. 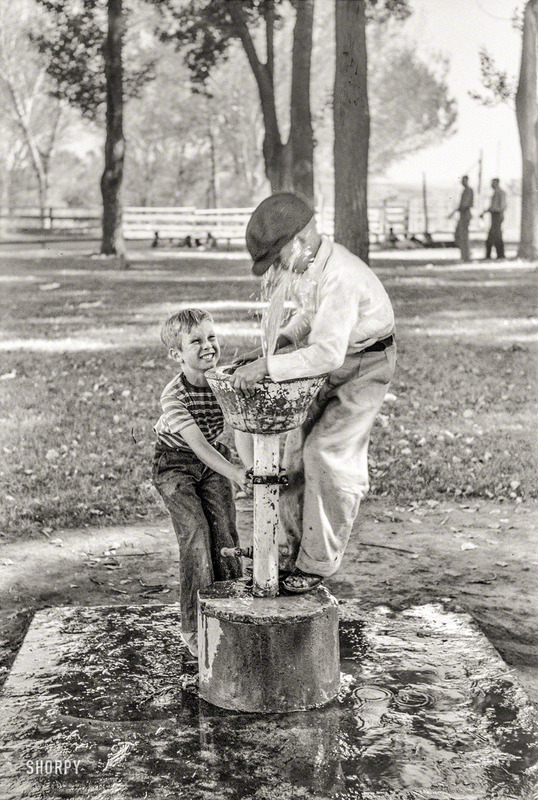 Another one to file under “the more things change…” Seems like some things have always been irresistible, like squirting your friend at the water fountain. Three guesses as to what happened right after this was taken!. July 1941. “Fun at the water fountain. Fourth of July picnic in Vale, Oregon.” Photo by Russell Lee for the Farm Security Administration.